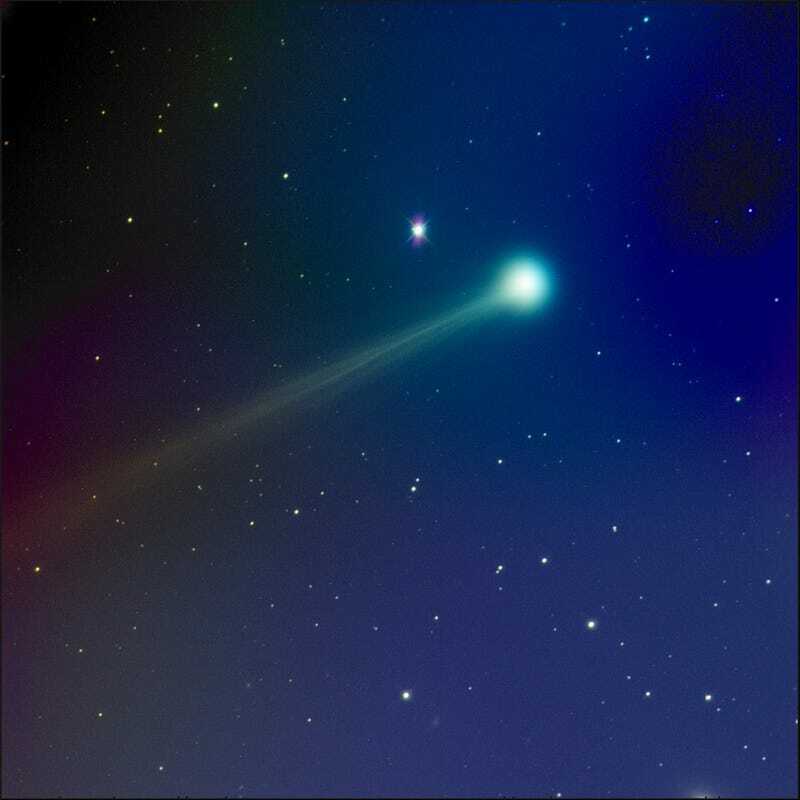 Last night, potential "Comet of the Century" ISON brightened by an order of magnitude or more as it continued on its dive toward the Sun. That means it is now visible to the naked eye. This photograph, captured by astrophotographer Mike Hankey, shows the comet as it appeared this morning, in outburst, with multiple streamers. What a surprise it was to image ISON this morning. I immediately noticed a significant brightness. I only had about 20 minutes of image time due to the sun rising and ISON's current low elevation. This may be the last telescope photo of ISON I take before it goes around the sun. This image is only a 60 second exposure of RGB. The clouds ruined the viewing for most of the morning and this was the first and only set of frames I could get. Feeling lucky. Be sure to keep your eyes peeled in the days ahead. You could get lucky, yourself.